We kindly invite all guitar classical music enthusiasts to a unique concert in the heart of Prague Old Town, in an original space of the art gallery. 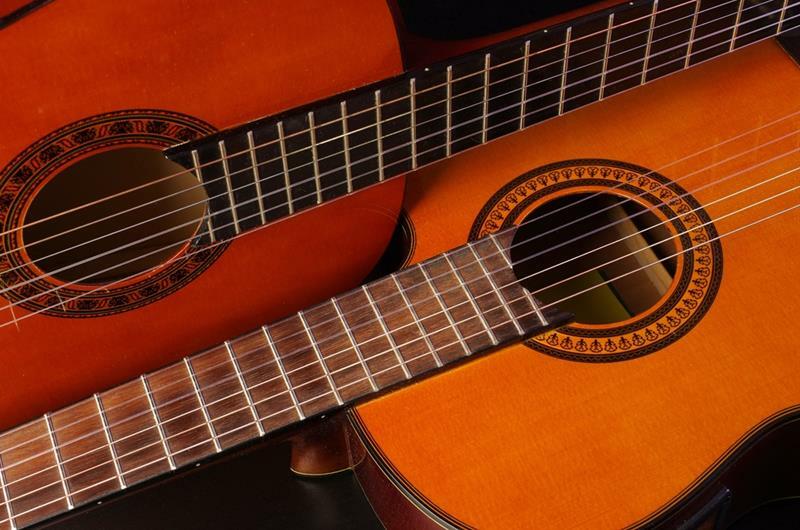 Czech Guitar Duo is the most renowned and the longest playing ensemble of their kind on the Czech classical music scene. 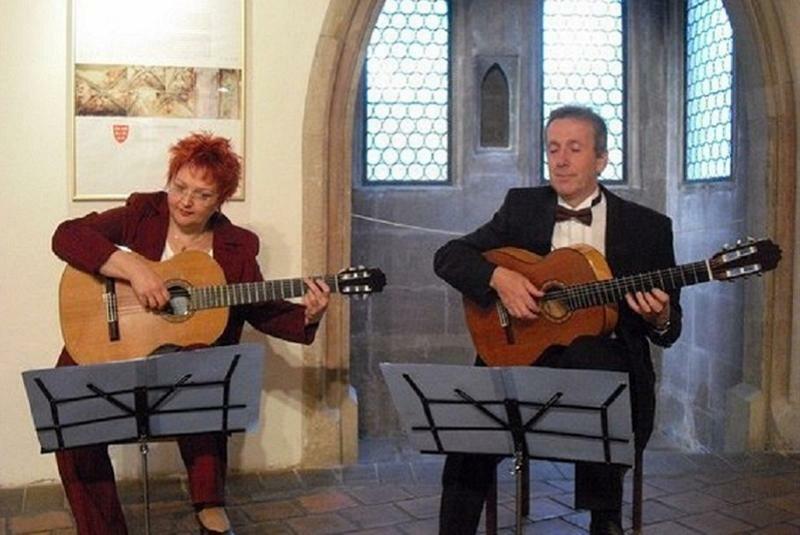 Jana and Petr Bierhanzl have been performing the unique and beautiful sound of classical music for two guitars for more than three decades. Their perfect performing virtuosity and skills are highly esteemed and well received by both the audience and the critics. Originality and discovery are the main features of the professional development of this duo. Their repertoire comprises the best duets of the world guitar literature together with their own transcriptions of Czech compositions, English renaissance lute music and Spanish flamenco. Children less than 10 years are not allowed to attend the concert due to a very small capacity of the gallery. Do you like guitar music? Then you might be interested in jazz concerts in Prague. We invite all guitar music enthusiasts to a unique concert in the small gallery, in the heart of Prague Old Town. 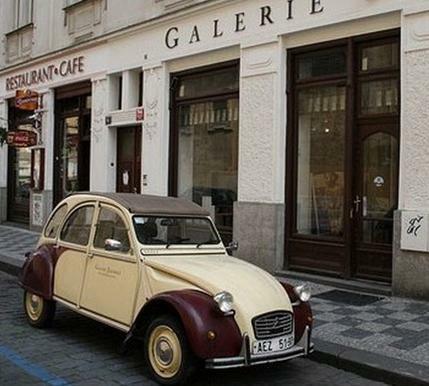 Jakubská Gallery has a well-earned place in both local and international artistic communities. During a visit to the gallery you are likely to meet people from all around the world who have come to view the collections. The gallery besides exhibitions and variety of social events holds also chamber concerts of classical music in Prague. 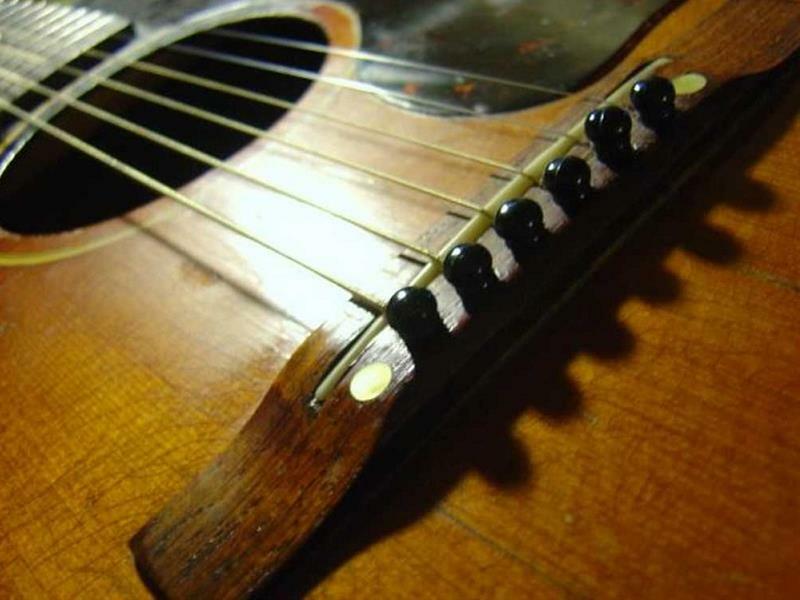 Do you like guitar music? Then you might be interested in jazz concerts in Prague! Music was great but tye chairs were making very irritating sounds all the time as people moved in their chairs. They should get chairs that dont make sounds. Fantastic performance in an intimate but perfect venue by highly talented duo. Ticket office (Via Musica) was tricky to find and we were initially given tickets for a completely different date and event. However, everything got sorted out and we had a great evening. The concert was amazing, origina and very well performed. Neveetheless, in such an intimate place, it eould have been nice if the players said simething during the concert- about them self or about the music they were playing. This was an excellent concert with a guitar duo that has been playing together for over 40 years. The effortless communication between the two was noticeable. The selection of music was varied and included many enjoyable flamenco pieces. It was a quick hour-long concert, perfect for a rest after a long day of sightseeing. The only recommendation I would make is for there to be an announcement to turn off cell phones. The venue was intimate and most appropriate for the guitar concert. Music was superb. My only suggestion is that the artists “introduce” themselves and provide a brief summary of what the audience is about to hear. We enjoyed the show immensely. We enjoyed the intimate venue and being able to watch the performers up close. They have a very enjoyable performance. My only critic would be the chairs. They were ok for an hour but could have been better. Thank you for a wonderful show. Very good performance by two artists obviously in sync. Very good concert. I particularly appreciated the way the two performers played together so harmoniously. 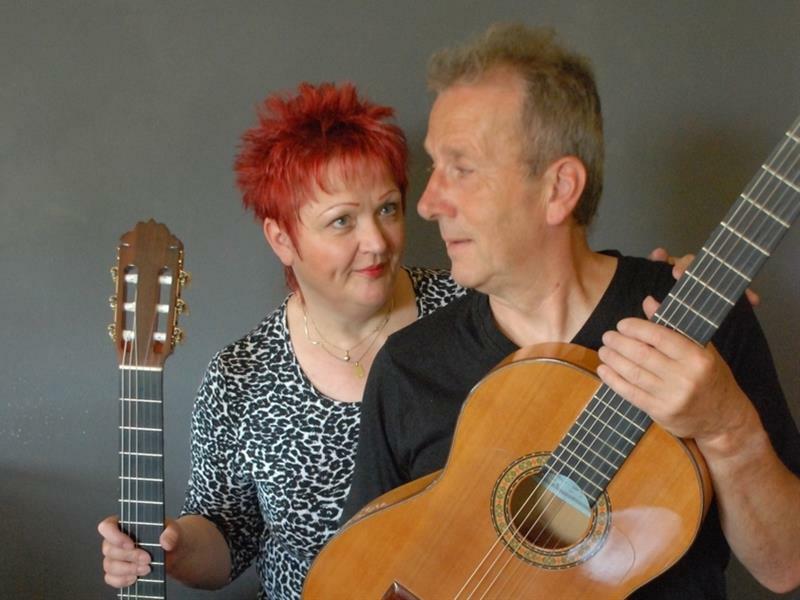 A husband and wife duo that not only share the stage but one mind as they present beautiful classical and flamenco pieces in complete harmony. Beautiful music, it truly touched our hearts ~ Thank You! Just amazing. Quirky venue in an art gallery but such an intimate setting. If in Prague you MUST attend one of these concerts. We loved it so much we now have a CD signed by the duo. Thanks for a memorable evening. We were very happy with the booking procedure and the event. Great guitar concert in an interesting venue. A bohemian show in bohemia! Great performance by two outstanding artists. A very enjoyable evening with an excellent selection of music. Virtuoso performances of interesting duet arrangements.